Cranes can be seen at a construction site at the inner-city suburb of Barangaroo, located on Sydney Harbour in Australia, on Aug. 9, 2018. 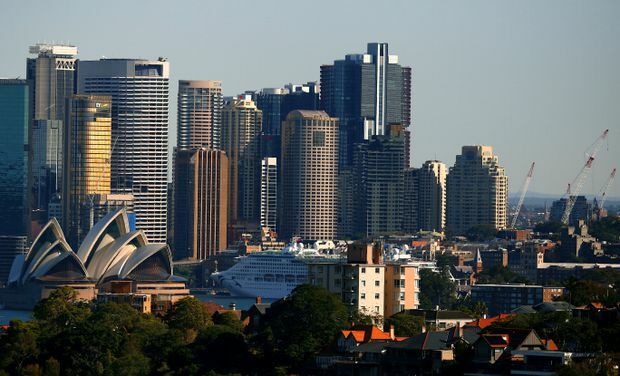 Canada’s Oxford Properties is battling private-equity giant Blackstone Group for control of major Australian office landlord Investa as the Canadian pension fund seeks commercial real estate in Sydney and Melbourne. Just days before Investa Office Fund unit-holders were due to vote on a Blackstone takeover, Oxford launched a 3.3-billion Australian dollars ($3.1-billion) hostile bid for Investa. The proposal from Oxford, the real estate company owned by Ontario Municipal Employees Retirement System (OMERS), is 5.50 Australian dollars ($5.20) a unit. That is 15 Australian cents higher than Blackstone's proposal of 5.35 Australian dollars a unit. But the Oxford proposal is conditional and non-binding, meaning Investa has received no assurances the Canadian real estate company will follow through with the offer. Blackstone called Oxford's bid "not superior," and said "there is a lack of funding certainty for the transaction," according to a letter Blackstone sent to Investa that was viewed by Reuters. Trying to thwart a bid with a non-binding, unsolicited offer is a rarely used strategy in Australian mergers and acquisitions. But for Oxford, a young real estate company that has established itself in foreign cities with big deals, this would be a way to get its hands on Investa's coveted portfolio of offices. “Oxford causes maximum chaos by leaving it late and minimizes the incumbent bidder’s ability to respond quickly,” said Michael Gajic, partner with MinterEllison, who specializes in Australian merger-and-acquisition transactions. Oxford, which says it has $45-billion in assets under management, has been eyeing Australia for some time. The fund owns high-profile properties in Canada, and has been expanding in large urban centres outside the country. It quickly established itself as a major player in New York and London by focusing on what it has called "monumental" transactions, such as a multibillion-dollar development project in Manhattan. "We will probably build out a business in the fullness of time in Australia, which means Sydney and Melbourne," new Oxford president Michael Turner said in an interview earlier this year. "But we don’t need to do that today. It will come when the opportunity comes." That opportunity appears to have come this summer. Oxford's interest in Investa became publicly known in mid-August, when the pension fund reached an agreement with one of Investa's stakeholders to buy part of its stake if the Blackstone deal was rejected. At the time, the stakeholder said the Blackstone offer was undervalued and that it would vote against the deal. By the end of August, Blackstone sweetened its proposal to a level that pleased Investa's board of directors, and Investa scheduled a vote for Thursday. But on Tuesday, Oxford made its non-binding offer. Investa's board of directors has said it will postpone Thursday's vote and risks losing Blackstone’s bid as it considers the proposal from Oxford. "They have definitely put Investa in a difficult position, because Investa has to weigh up a certain but lower offer from Blackstone versus [a conditional] but higher proposal from Oxford," Mr. Gajic said. A spokesperson for Oxford declined to comment on Wednesday.